Like so many others this week, I am saddened and devastated by the recent racist murders in South Carolina, US. In memory and honor of those whose lives were taken and in hopes that this country, and this world can begin to heal the hatreds that tear it apart, this month’s Goddess column will be on just a few of the Healing Goddesses, whom I ask to please look kindly upon us all. COVENTINA – The British Goddess of springs and wells, she was also a Goddess of abundance and inspiration. Her sacred well, located in Northumberland, is considered a sacred healing site. ANAITA – While there is not much information on her, Anaita was an Italian Goddess of the Oscan tribe, a Goddess of witchcraft and healing. It is said that she is the originator of herbal charms. AKESO – The daughter of Askelpios, the God of Medicine and Epione, the Goddess of Pain Relief, Akeso is the Greek Goddess of healing and curing, which is the meaning of her name. She is also associated with the moon. 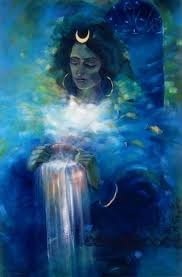 SULIS (OR SUL) – Another British Goddess of Healing, Sulis oversees the sacred wells and springs, all of which bring healing and blessings. Her most sacred site is the healing hot springs at Bath, where thousands still gather for Her annual Festival. 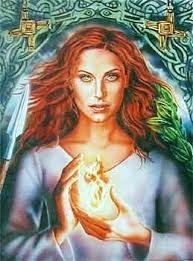 AIRMED – She is of the Tuatha De Danaan, the Irish race of Gods and Goddesses, founded by the Mother Goddess, Danu. Airmed healed those who fell in battle. 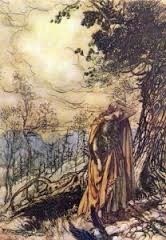 It is said that the healing herbs of the world fell from her eyes as she wept of her dying brother’s body. 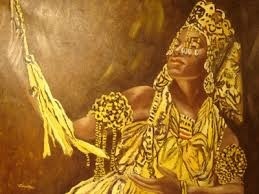 AJA – A powerful healer of the Orisha, her name means “wild wind”. It is said that she is the one who taught all of the worlds’ healer. 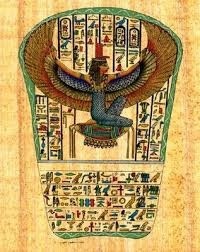 ISIS – The Egyptian Goddess Isis, THE Goddess of Ten Thousand Names; her worship has circled the world. While stories abound of Isis and Her magic, Her powers of healing are foremost in the story of her searching and finding the dismembered pieces of her beloved Osiris’ body, killed and scattered by their brother, Set. 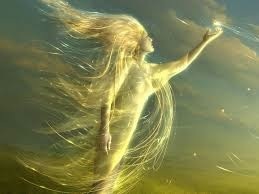 She searched the world over to resurrect him. Another story of Her healing powers, She cured Ra of a snake bite, although truth be told She sent the snake and blackmailed him for the name of his power before She cured him.